There is still time to make a tax-deductible year end gift to ensure that we get to deliver an ambitious 25th Anniversary season of original works for adventurous minds. – an 8-week immersive, collaborative workshop with high school students who write and perform their own play with the help of a playwright mentor and acting mentors. Acting mentors Brie Eley and Curtis Scott rehearse with students at New Designs Charter School. – an intimate play by Nick Salamone (who wrote the adaptation of HELEN at the Getty Villa) about the loves in our past and the words we never said. – a year-round readings of the freshest plays from the playwrights’ computers. 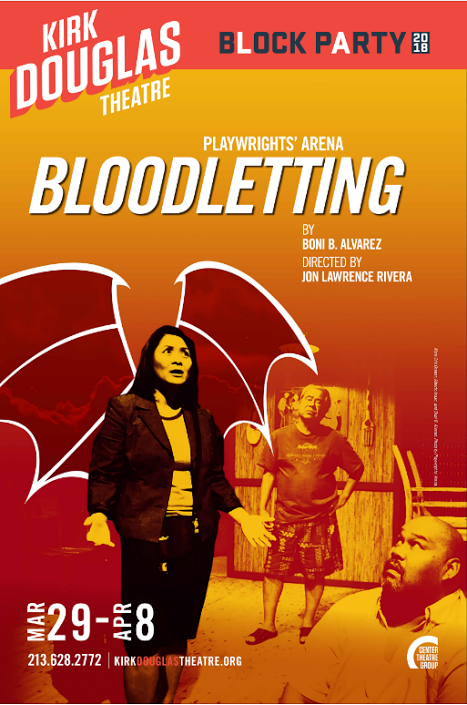 Curated by Literary Manager Annette Lee, this series gives us insight into future plays. Many of our productions have been read through this series. A reading of Gabriel Rivas Gomez’s THISABILITY. – a cutting edge reimagining of a classic play by Luis Alfaro set in a Central California seminary where young men are anguishing over the life they abandoned beyond the walls of the church. A co-production with Skylight Theatre Company. We are more than 60% in achieving our goal of raising $50,000 by the end of the year.
? Your tax-deductible contribution will go 100% towards artists’ fees. or click HERE to go through paypal. (Please note that we receive about 6% less of your donation via paypal). Thank you for your support. And happy new year! !